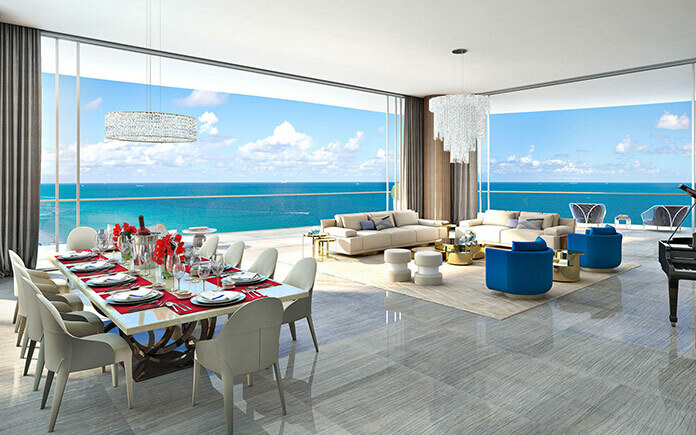 Wealthy Floridians with a taste for luxurious living will soon have the chance to experience high European style on the Miami shoreline, with the announcement that renowned German designer Karl Lagerfeld has been commissioned to put together the public lobby areas of a new exclusive residential development. 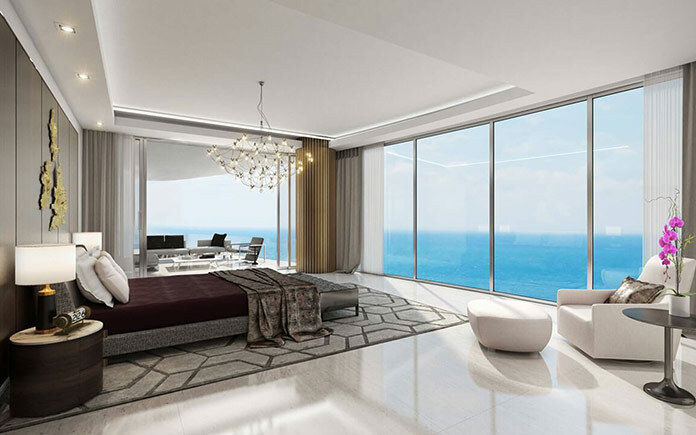 The Estates at Acqualina, due to open in 2020, will consist of two 50 storey towers containing 265 luxury apartments of between three and seven bedrooms, all ready-furnished to the highest standards. Karl Lagerfeld will be responsible for ensuring that the public lobbies deliver the required impression of opulence from the start, a project that should make excellent use of both his precise Teutonic eye for detail and undoubted flair for the extraordinary and unexpected. The 82 year old fashion industry icon has a history of creative projects in fields beyond the catwalk, from photography to art, and is relishing the challenge of producing public spaces that live up to The Estate’s billing as one of the world’s finest residential locations. 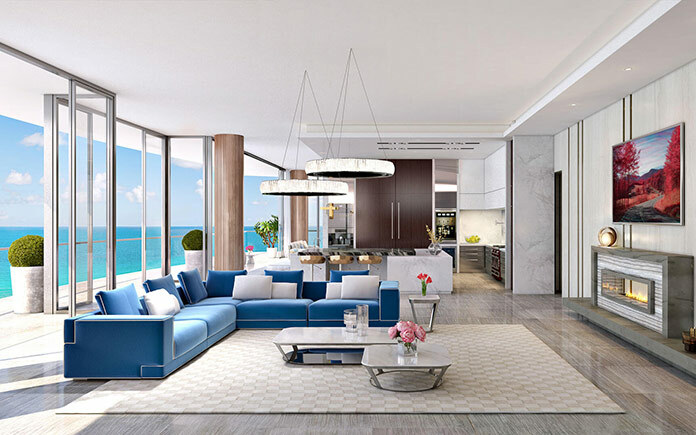 As well as needing to deliver a sumptuous first impression to visitors (and potential buyers of course), Lagerfeld says that he intends to turn the lobbies into surrogate living rooms for daily socializing, and he will try and reflect his inspiration by the state of Florida while injecting a sense of freshness to counteract the pervading city heat. For their part, developers The Trump Group explained their engagement of the European by saying “…[we] wanted our entrance lobbies to be the piece de resistance of our new project, and who better to create these than the master of modern creativity: Karl Lagerfeld”. Whatever the outcome of Lagerfeld’s involvement, there seems little doubt that purchasers of the condominium apartments will indeed enjoy a level of comfort beyond the reach of most of us. 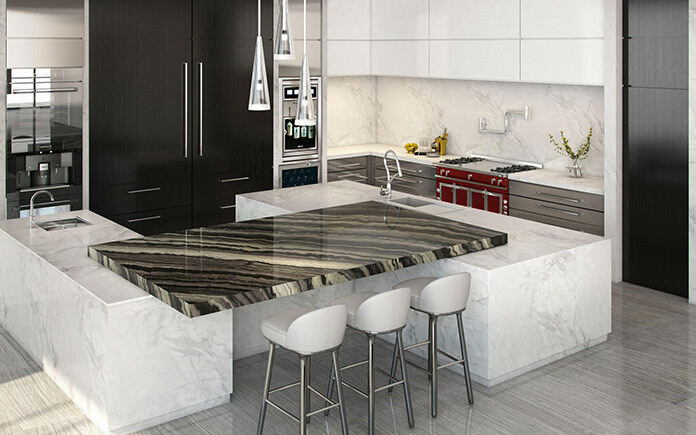 For example, each apartment’s kitchen will be fully furnished with best-in-class appliances, including the latest in smart technology, surrounded by counters topped with imported stone. 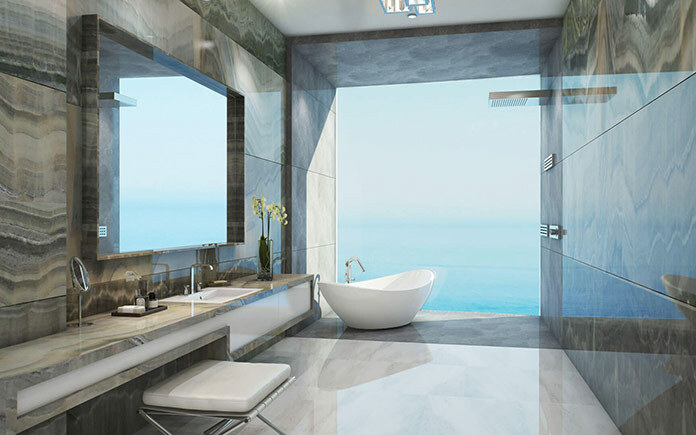 The individual ‘his and her’ bathrooms will feature onyx-topped counters, along with marble floors and walls, a steam mist shower, large free-standing bath tub, and a second shower featuring an arresting ocean view. 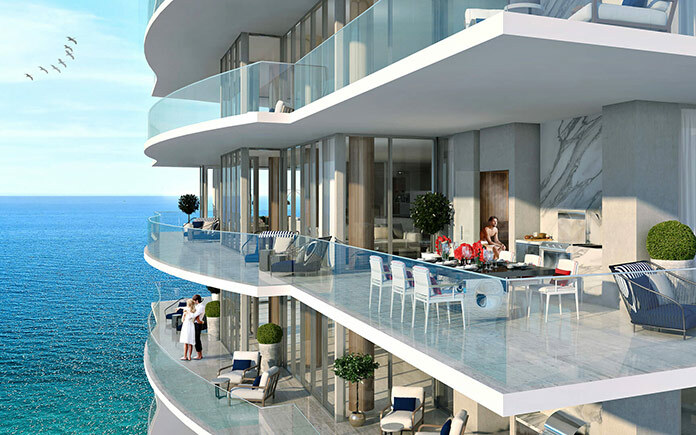 The two towers themselves will be set among over 45,000 square feet of exclusive amenities, ranging from a fully equipped spa and wellness center to a world-class restaurant overlooking the ocean. The full development will also boast leisure facilities including infinity pools and sculpted gardens, all set along more than 500 feet of fully-serviced prime oceanfront. For those who need to stay in touch with business developments, the complex will also feature the Wall Street Traders’ Club with full access to ticker tape, computers, and a board room, while residents will also be able to make use of the house Rolls Royce for those essential trips to the local 7-Eleven. As to be expected, all this luxury and style will come with a significant price tag. 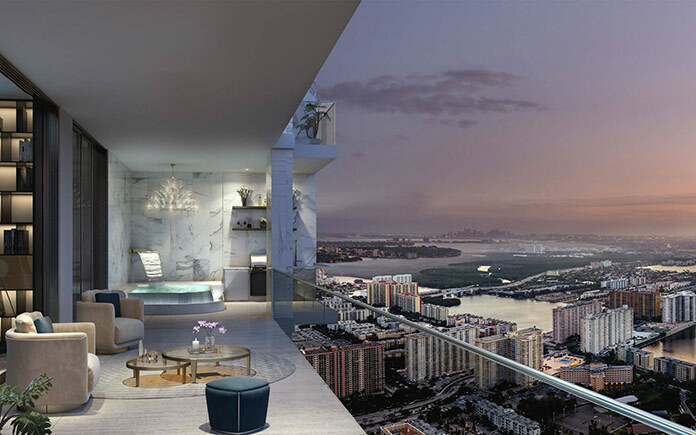 The ‘basic’ apartments in the Acqualina development will run from $3.9m to $9m, while those who hanker after a penthouse will need significantly deeper pockets to meet the $40m asking price. Nonetheless, if the development fulfills its promise, it will certainly be a contender for the title of most luxurious residential complex in the USA, or even worldwide.